Warren Buffett’s comments to CNBC regarding Bitcoin seem to have halted its bullish price rally while spreading fear and doubt into the largely speculative crypto market. 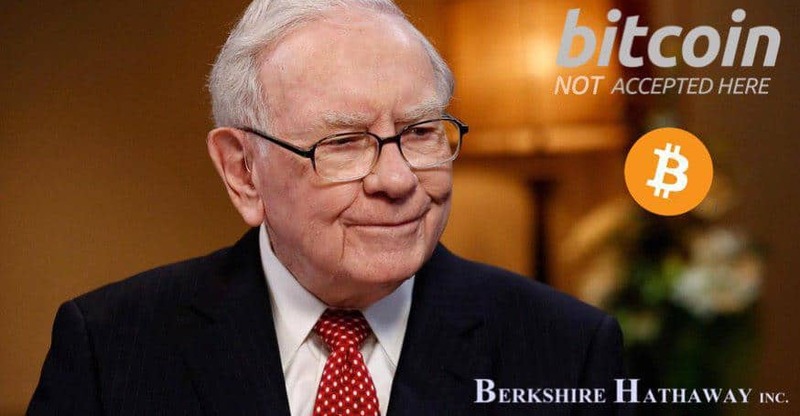 Warren Buffett, the CEO of Bekshire Hathaway, and the third richest man in the US and the world has always been very critical about Bitcoin and cryptocurrencies. His latest comment qualifying Bitcoin of “rat poison squared,” stopped the sustained uptrend Bitcoin has been going through since April 12th and caused it to plunge 7.8% in a pullback the last 48 hours. Bitcoin was trading around the $10,000 mark, only to sharply fall around $9,100 as of press time. Bitcoin’s (BTC) / USD price evolution, Market Cap and 24th Volume from April 8th, 2018 to May 8th, 2018. The fact that Warren Buffett shudders at Bitcoin is no secret. The 87-year-old billionaire and notorious investor has expressed doubts about the inherent value of Bitcoin since its launch. In 2014, he called the digital asset “not a real currency” and that he “wouldn’t be surprised if it’s not around in 10 or 20 years”. Earlier this year, during a CNBC interview, he predicted that this cryptocurrency craze and all the excitement driving people to invest in them is irrational and “will come to a bad ending” once the excitement wears off. Most recently, during the Berkshire Hathaway shareholder annual meeting on Saturday, May 5th Buffett seemed not to shift positions when it comes to investing in the asset. After qualifying it of “rat poison squared” according to CNBC, he added that the asset’s value is merely speculative and that it does not produce earnings or dividends the way stocks do. Comparing it to gold, he argued that you can only buy it, but there will be no value to it. “It’s buying something because you expect the pool of people who want to buy it because they want to sell it to somebody else, will grow”. Berkshire Hathaway Vice Chairman, Charlie Munger echoed the comments of Buffett. Addressing his boss, he said that he “likes cryptocurrencies a lot less” than his colleague already does. “Although Warren Buffett has made the right call on many investments, he is dead wrong on Bitcoin because he is totally clueless to the technology”. Marble claimed that if one had invested in Bitcoin during the last three years, he would have literally made a “100 times” better investment than investing in Berkshire itself. Cited in the same Forbes article, Daniel Rice, CTO of Segwise, seemed to agree with Marble. He affirmed that he “disagrees” with Buffett, and that tradition investors critical of the concept, do not seem to know that Bitcoin is a technology infrastructure rather than only a means of digital payment.